My wedding dress - too big! Found: One Wedding Dress My GBS was on August 26, 2009. Since then I’ve lost about 40 pounds, for a total of just under 70 pounds. I have been exercising a lot – treadmill at first, then kickboxing class. I was cleaning out one of my closets this weekend and found my wedding dress from 1998. 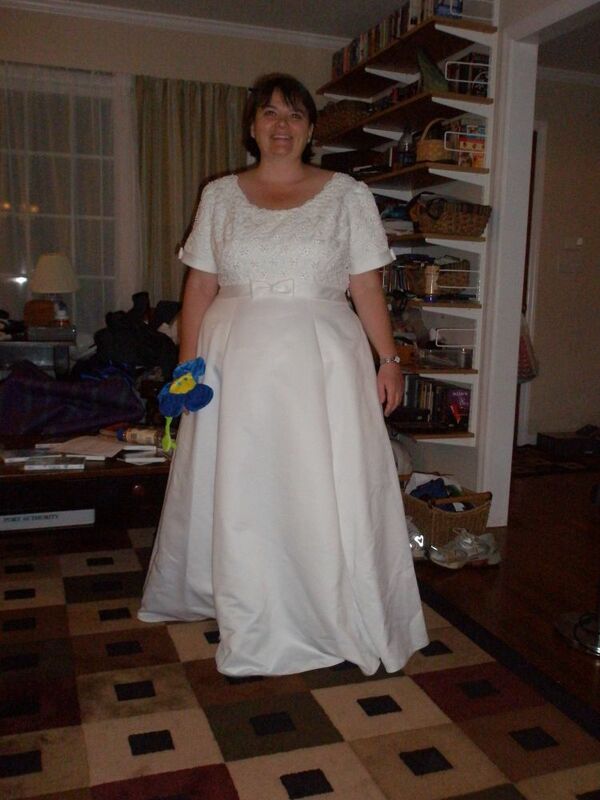 I was a few pounds heavier than at my wedding, but I thought I’d try it on and see if it fit. IT WAS TOO BIG!!! My stomach is definately bigger, but on top, I’m much smaller and the dress that required a girdle and serious bra to fit was bagging and loose. I’m feeling very good about this. This entry was posted in 4. Success, 7. Inspiration and tagged Gastric Bypass, GBS, losing weight, RNY, Weight loss, WLS. Bookmark the permalink.